**Update**This home has recently sold. high above the Pacific Ocean and Cabrillo Beach. 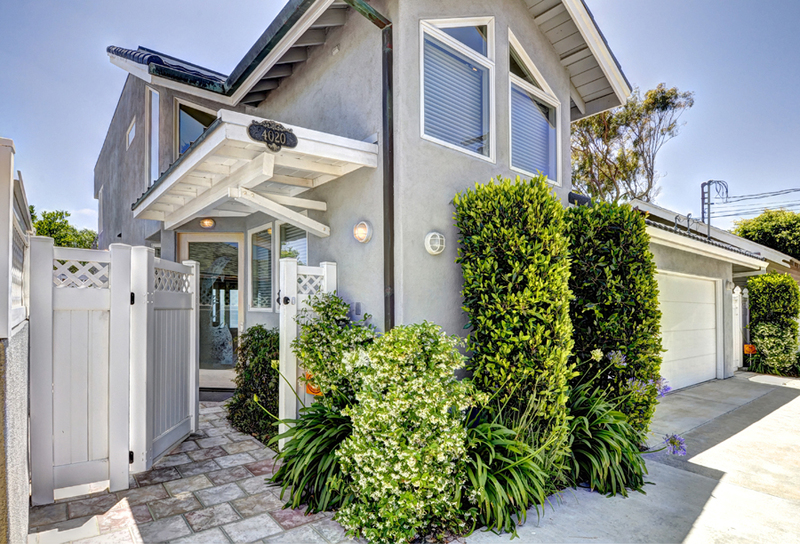 For the buyer priced out of the Strand in Manhattan Beach, or the cliffs of Palos Verdes this is an incredible opportunity at a fraction of the cost. 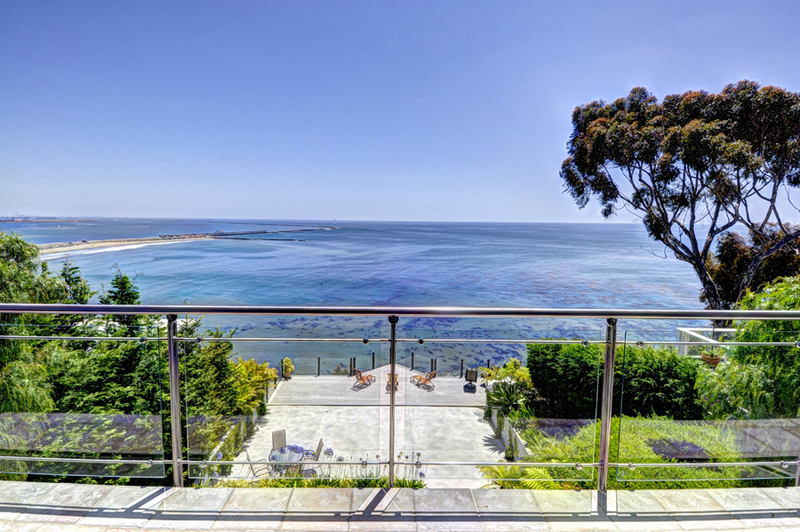 Compare this to oceanfront prices starting at $5.0M in Palos Verdes, $4.5M price in Redondo Beach, and $13.0M in Hermosa and Manhattan Beach. The dynamic views are completely unobstructed and extend to Dana Point and even north San Diego on especially clear days. The surf is literally in your backyard where you’ll hear the crashing waves, watch as kite surfers an sailboats ply the waters and enjoy the harbor lights in the evening. 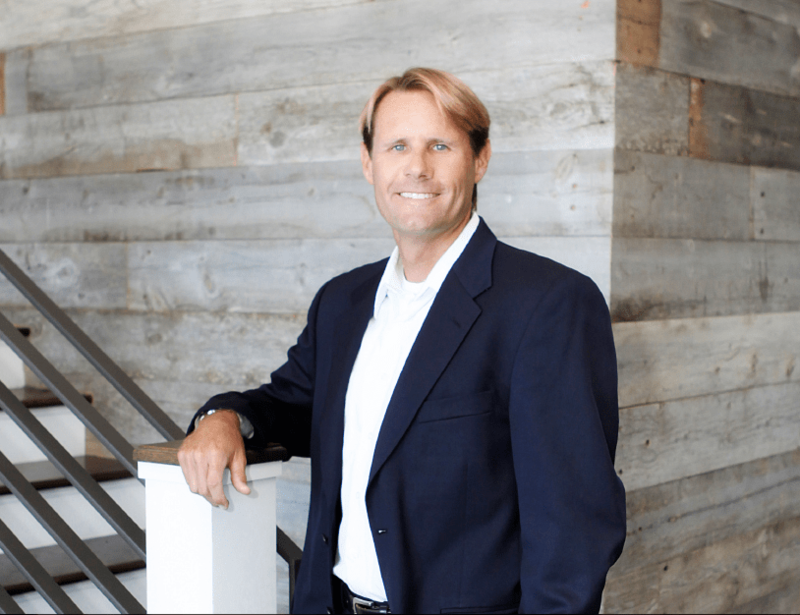 The beautiful custom home was built in 2000 and was extensively remodeled in 2011. It is one of a kind and offers the feel of a luxury hotel….with unparalleled views. Surrounded by mature landscaping and a very limited number of neighboring properties, the home affords a sense of privacy and seclusion not often found in the South Bay. The ground floor offers a spacious and open floor plan with lovely new hardwood floors, marble fireplace, and spacious living and dining rooms…all with spectacular views. The open kitchen has all new stainless steel appliances, custom white wash cabinets, and new Italian marble countertops. 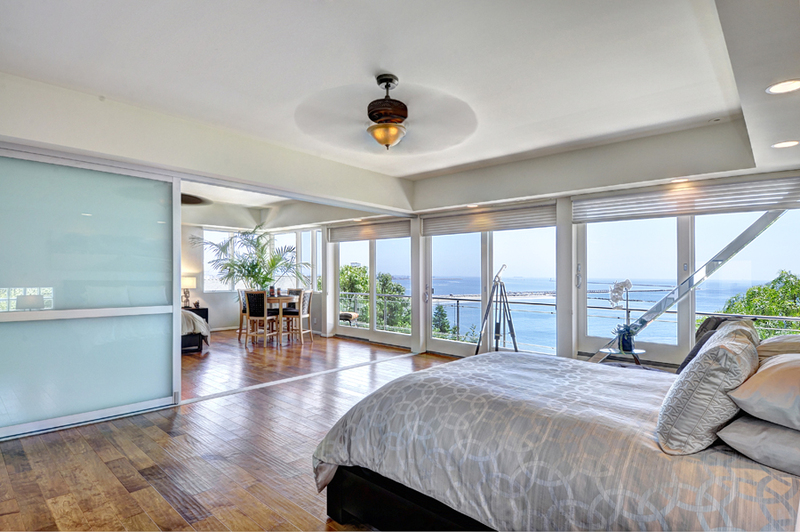 The 30 foot wide floor to ceiling sliding glass doors open onto the expansive entertainment deck and the ocean beyond. The ground floor also offers a sizable bedroom with it’s own bathroom which is perfect for guest or owners needing a ground floor bedroom. The entire second floor is divided into two huge, finely appointed master suites with a kitchenette in between. 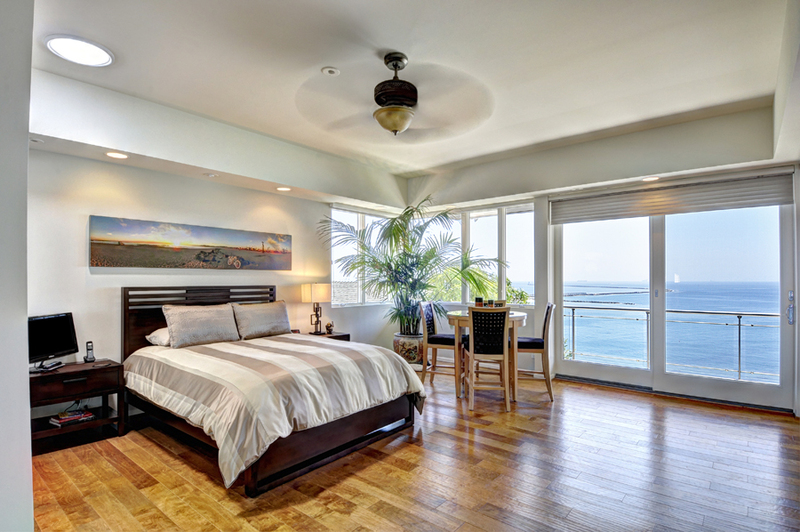 Imagine being greeted every morning with an ocean view that will leave you breathless. The upper floor also enjoys an oversized balcony perfect for sitting and relaxing. 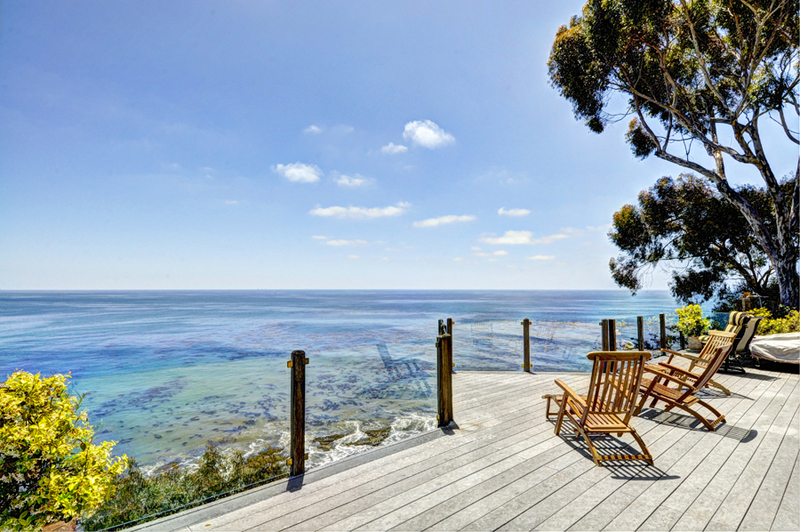 With over 1000 sq ft of decks enjoy one of the most beautiful stretches of So Cal coastline! Cabrillo Beach is in full view and just a short walk from the house.